In his breakout bestseller, The Perfect Storm, Sebastian Junger created "a wild ride that brilliantly captures the awesome power of the raging sea and the often futile attempts of humans to withstand it" (Los Angeles Times Book Review). 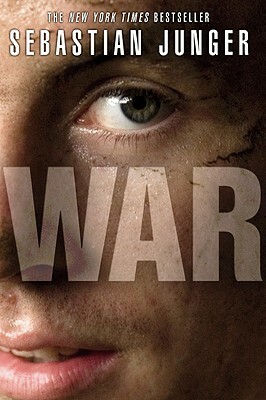 Now, Junger turns his brilliant and empathetic eye to the reality of combat--the fear, the honor, and the trust among men in an extreme situation whose survival depends on their absolute commitment to one another. His on-the-ground account follows a single platoon through a 15-month tour of duty in the most dangerous outpost in Afghanistan's Korengal Valley. Through the experiences of these young men at war, he shows what it means to fight, to serve, and to face down mortal danger on a daily basis. Sebastian Junger is the New York Times bestselling author of The Perfect Storm and A Death in Belmont. He is a contributing editor to Vanity Fair, and has been awarded a National Magazine Award and an SAIS Novartis Prize for journalism. He lives in New York City.